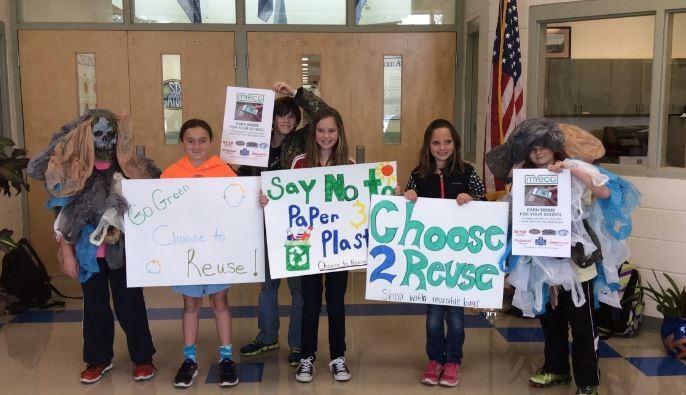 The Waccamaw Elementary and Intermediate schools introduced their new MY ECO Reuse program with a campaign for parents at the carpool lines. The Waccamaw PTA and PTO applied for a grant to create a program that encourages the community to shop with reusable bags. The My ECO program kicked off Monday at Waccamaw Intermediate, where students dressed as “bag monsters” and carried posters about reusing and recycling. Volunteers will be talking to the parents about the MY ECO reuse app and track the results throughout the year. This entry was posted in Beneficiary Causes, MY ECO in the news. Bookmark the permalink.